If or a family member have been in a car accident, don’t face the insurance companies and court system alone. Call the experienced Folsom car accident attorneys at Adams & Corzine. Car accidents are traumatic for victims and their families. If you have been injured in a car accident in Folsom or across Sacramento, working with a personal injury attorney experienced in car accident cases will ensure you have strong representation so you receive just compensation for your injuries or loss. Our Folsom car accident attorneys are compassionate, experienced and will treat you with care and concern while fighting aggressively as your advocate. Our accident lawyers each have over 30 years experience in Sacramento and understand how to help victims get what they deserve after a car accident. We are proud to act as your advocates and guide you through the personal injury legal process. Our experienced Folsom car accident attorneys represent clients in Sacramento, South Sacramento, West Sacramento, Midtown Sacramento, Folsom, Granite Bay, Roseville, Rocklin, Loomis, Citrus Heights, Fair Oaks, Orangevale, Carmichael, Natomas, Rancho Cordova, Rancho Murieta, El Dorado Hills, Cameron Park, Shingle Springs, Placerville, Davis, and Woodland. At Adams & Corzine, we are experienced Folsom auto accident lawyers who believe that car accident victims deserve justice. We are here to help you if you have been injured or have lost a loved one in a car accident in Folsom or anywhere in Sacramento. Please contact us today to schedule a free consultation with an experienced car accident attorney in our Folsom office to determine how we can help you. Our car accident lawyers are here to listen to you, talk about your case and explain your legal options so that you can decide how you would like to proceed. Following a car accident, you will need to spend time recovering from your injuries or from the shock and pain of losing a loved one. You will also be forced to deal with the responsible party’s insurance company. When another driver is at fault for an car accident, that party’s insurance company will often step in and make a settlement offer. It is crucial to remember that insurance companies make these offers every day. Having an experienced and knowledgeable Folsom car accident attorney on your side will ensure you are receiving the counsel you need to make the right choices. 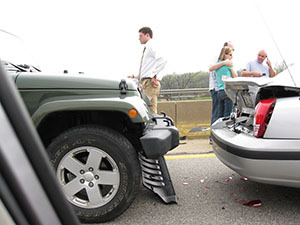 In fact, insurance companies have a great deal of experienced negotiating with car accident victims. They may attempt to offer an unfair settlement or be resistant to assuming responsibility for your injuries and their associated costs. An experienced car accident attorney who works with insurance companies on a regular basis can help you fight an unfair deal. Having a car accident lawyer who knows the ins and outs of the post-accident settlement process on your side will help ensure that you receive compensation that represents your true pain and suffering. If you were injured or a loved one was killed in an auto accident in Folsom or anywhere in Sacramento, you may wonder if you need to contact an attorney for assistance. While you can negotiate with an insurance company or attempt to navigate the court process yourself, it is better to put that task in the hands of an experienced, compassionate car accident lawyer. Remember that motor vehicle law in California can be very complex. Fighting for your rights means not only understanding what happened during an car accident but also how that relates to California law. 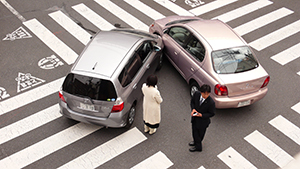 Our Folsom car accident attorneys have experience representing auto accident clients in negotiations and courtrooms. We are here to help you receive the compensation that you deserve following a car accident. Please call us today so that we can discuss your options in our Folsom office and help you find justice. Located in Folsom, our experienced car accident attorneys represent clients in Sacramento, South Sacramento, West Sacramento, Midtown Sacramento, Folsom, Granite Bay, Roseville, Rocklin, Loomis, Citrus Heights, Fair Oaks, Orangevale, Carmichael, Natomas, Rancho Cordova, Rancho Murieta, El Dorado Hills, Cameron Park, Shingle Springs, Placerville, Davis, and Woodland.